The Royal Burgess Golfing Society of Edinburgh was instituted in 1735 and is widely recognised as the oldest golf club in the world. From 1735, the Society first played its golf at Bruntsfield Links. In 1874 it moved from this increasingly overcrowded piece of ground to Musselburgh where the Society had already been playing some of its major events for a number of years. By 1891, however, the popularity of the ‘Edinburgh Burgess Golfing Society’ had risen to such heights that the Society resolved to find a home of its own, and the present Barnton site was established. Tom Morris, ‘Nestor of the Royal and Ancient Game’, travelled down from the birthplace of golf, St Andrews, to pass judgement on the suitability of the land. He declared that, “The turf was so good there would be no need to lay the greens,” and the decision was made. The design was placed in the hands of the legendary Willie Park Jr and the course formally opened in 1895. Work on the clubhouse, a superb example of ‘Arts and Crafts’ architecture, started in 1896, and it is still a building of which we are rightly proud and which our members enjoy hugely to this day. In 1929, His Majesty King George V commanded by Royal Edict that the Society name be changed to The Royal Burgess Golfing Society of Edinburgh, and the Royal connection continued with HRH The Prince of Wales, later King Edward VIII graciously accepting Captaincy of the Society in its bicentennial year of 1935 and more recently HRH The Duke of York accepted honorary membership in 1991. But you don’t have to be Royal or even a Member to play at The Royal Burgess. Visitors and guests are always afforded a very warm welcome, and, as part of the Royal Burgess experience, we look forward to you creating your own chapter in our long and colourful history. 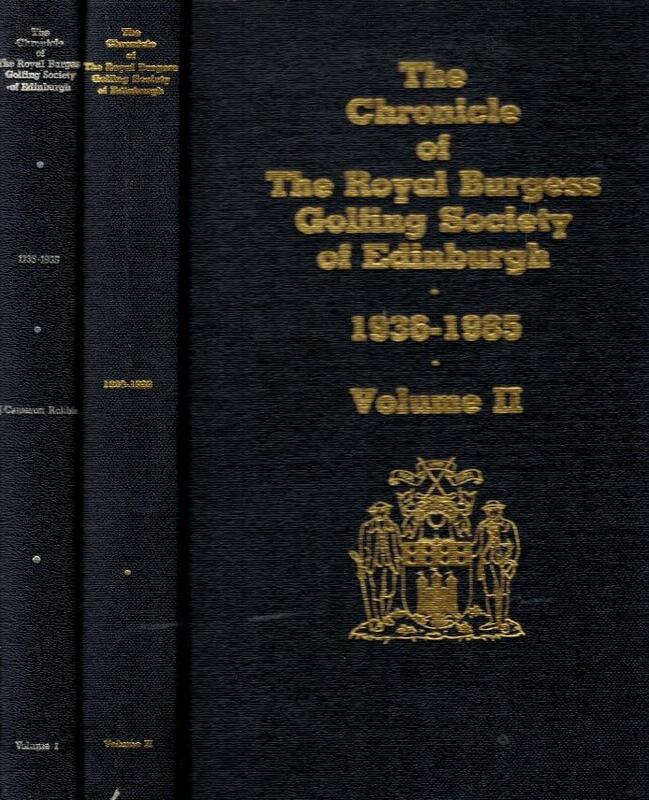 Find out more about our history with the excellent publication: The Chronicles of The Royal Burgess Golfing Society Volumes 1 and 2 which charts the key people and events over the centuries, including the war years, when sheep were allowed to graze on the greens! @ScottReadman Could we see the putter covers please , do you do any other wood covers ?